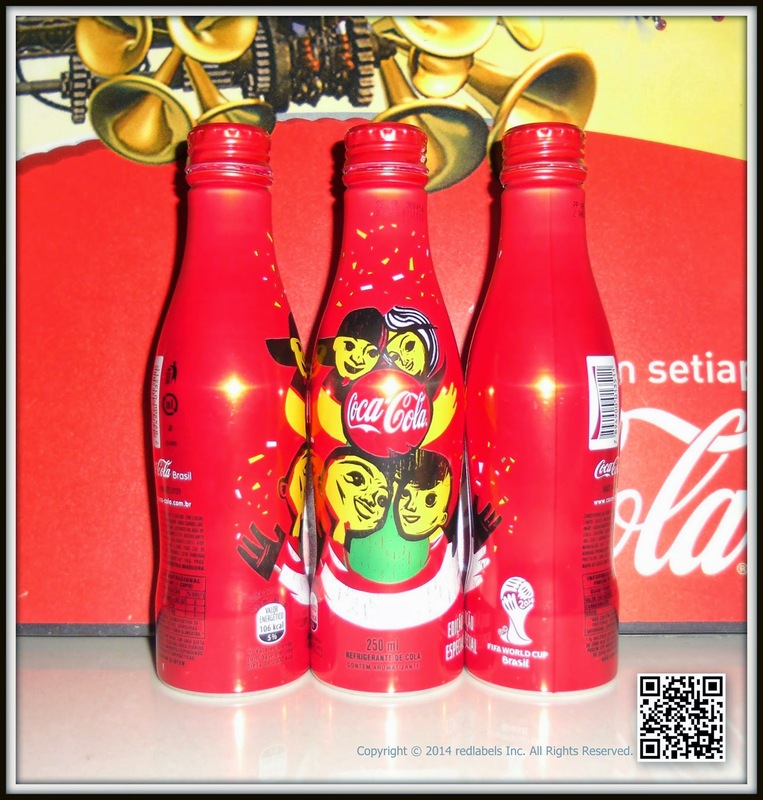 Can you tell us when the project started and how - what was the starting point and what were the key stages in the development process of Coca-Cola's Visual Identity Sytem for Brazil 2014? In 2012, while still in my former position at ATTIK, we received a call from Coca-Cola to say we'd been invited to attend a 2014 World Cup workshop in Rio. I wasn't sure what to expect but was very excited at the opportunity. In the room, we were joined by the Coca-Cola brand team and our ad agency partners, Wieden + Kennedy. Here we were introduced to the concept of ‘The World's Cup' – the idea that the FIFA World Cup belongs to everyone, whoever you support and wherever you live. Football is the world's most democratic sport. 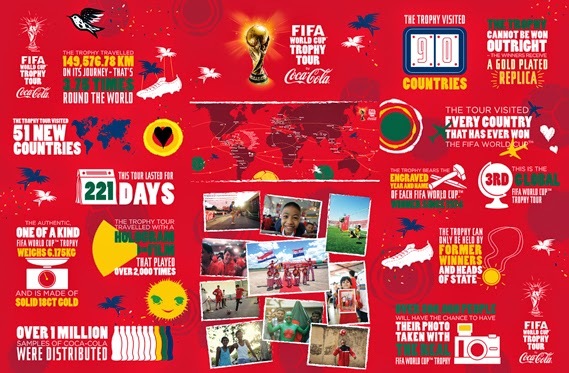 This concept ultimately became the heart of the 2014 FIFA World Campaign for Coca-Cola. The journey to create the VIS started with a walk through the streets of Rio. It was important to discover something unique, something Brazilian and also something reflective of the Coca-Cola brand. While walking a few streets back from Copacabana Beach, it became evident that Brazil would offer something very different to the world as the host nation. After many walkabouts and months of research, we encountered the work of Brazilian street-artist, Speto. His style aligned perfectly with the design aesthetic for Coca-Cola - bold, simple, iconic. Once we selected Speto as our partner, we went to work to determine how this visual identity would come to life. After a couple of days of meetings resulted in no design, we went to dinner and over a conversation, a sketch on a napkin (see below) became the start of something much bigger. In June 2013, I joined The Coca-Cola Company as VP, Global Design and have had privilege of seeing this project from both the agency and client side - from inception to today, where the VIS currently resides in 175 global markets. There are a lot of visual cliches associated with Brazil and yet, presumably, there was a necessity to give this some Brazilian flavour - how do you reconcile the two? How do you make the work feel 'Brazilian' without it falling into stereotypes? 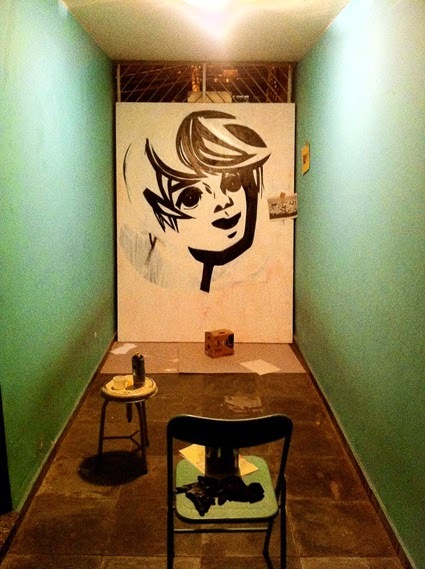 During my walkabouts through the streets of Rio, I experienced that the streets are paved with art. We were searching for something or someone with whom we could partner to give Coca-Cola a distinctive POV on Brazilian art. We certainly weren't naïve as to think it could possibly originate from Leeds [where Coke's design studio on the project and Sommerville's former company BGO (Bonafide Guests Only) is based]! However, it was never about selecting someone because they were famous and in fact, we avoided all the things you might see on the Brazilian tourist board website (ie Samba, Carnival, Copacabana, toucans etc). Instead we were looking for a partner who shares the same design aesthetic as Coca-Cola, described best as bold, simple, iconic. We found that in Speto and together built a visual identity system that is authentically Brazilian but tells a story of togetherness, optimism, with the underlying connection of football. 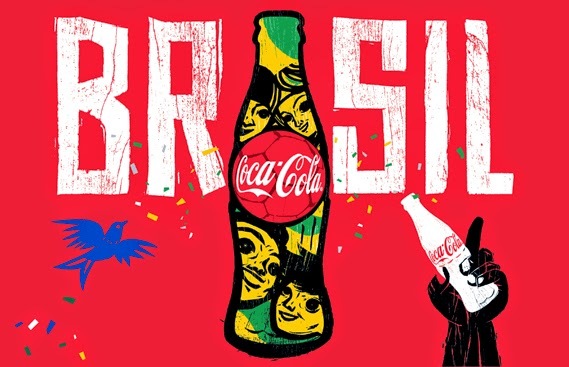 Street art is very strong in Brazil and it has been co-opted by other brands (Pepsi, for example did their Art of Football series) - how did you ensure that Coca-Cola's use of the genre would be distinctive and not seen as another brand using the same aesthetic? 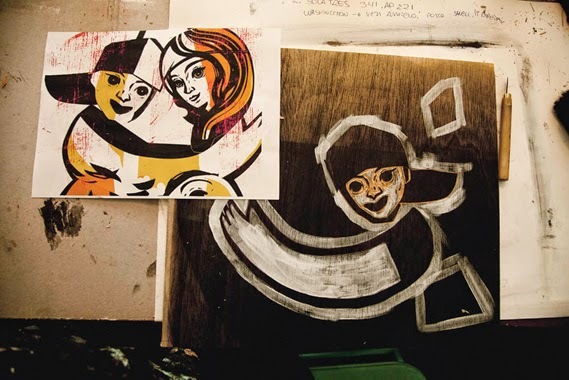 Street art is the most democratic, inclusive art form - once it is created, it is there for all to see - that makes it the perfect visual representation of the inclusivity at the heart of the Coca-Cola ‘The World's Cup' campaign for the 2014 FIFA World Cup. The brief from Coca-Cola was simple in terms of creating an identity for the event that would illustrate a unique blend of Football + Brazil + Coca-Cola. Speto's work is focused on telling stories. 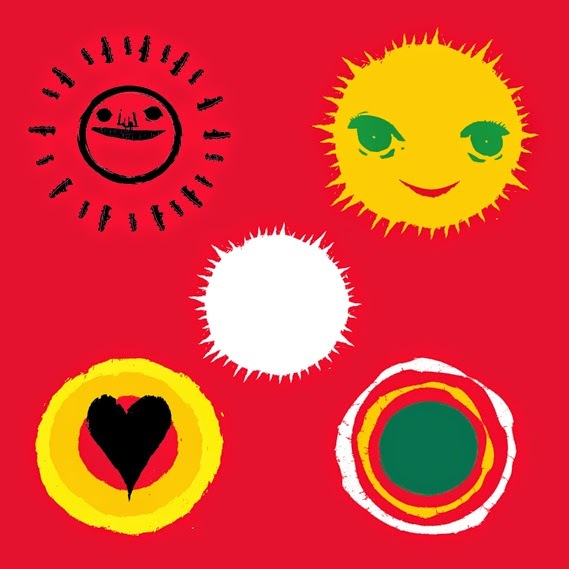 The visual identity is built around the central four characters who tell the story of ‘The World's Cup' illustrating the values of happiness, togetherness and celebration. In support of the four characters, we created additional elements such as a Brazilian football boot with a Coke twist, a football with a heart to honor the beautiful game and a tambourine, illustrating music as a means to bring people together. All aspects that we felt were very important to our story. Can you tell us about the process of choosing Speto (above) to work with? What research did you do into suitable artists? How many did you look at? What was it about Speto's work that made him the right choice? After meeting several Brazilian artists and designers over a two month period, we eventually met Speto at his home in São Paolo. 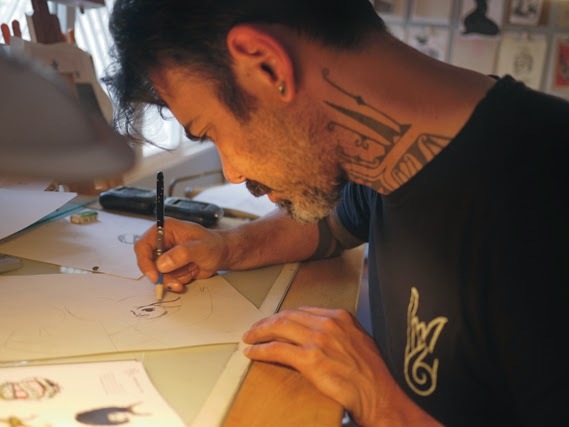 From a stylistic point of view, his work is visually stunning. Striking, bold and confident all at once. But we needed to get to know him, understand his inspiration, his passions and in doing so we discovered his zest for life and deep love of people. 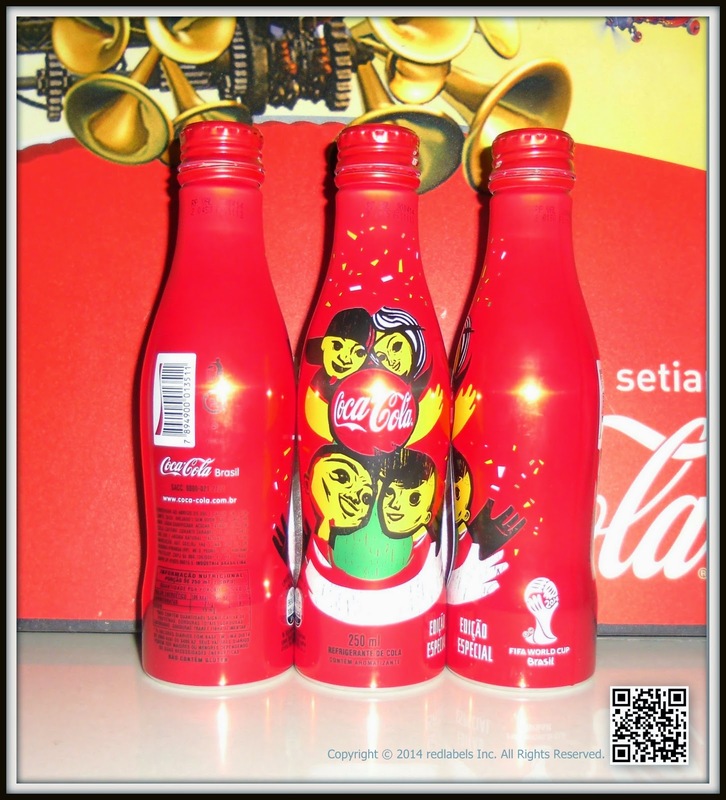 So in the end it felt a very natural choice, he felt like a Coca-Cola artist, sharing values that the Company embodies. What was the process of him working with the Coca-Cola team? Over the course of about a year, together with our design agency BGO, we continued to work very closely together either in person in his studio or through regular Skype calls. Collectively, we would bounce sketches back and forth until he was happy from an artistic perspective and we knew we had an element that could work across the large Coca-Cola system. An unusual, but productive collaboration of designers in two countries. We liked the fact that even though he is the artist, he was also open to art direction from our more commercial position. Each time we had a collection of individual VIS elements that we were happy with, we had to share (and sell-in) these elements to the Coca-Cola global system. Often raw elements don't convince clients, as they cannot see how it pieces together, but we had confidence we were capturing the spirit of the core idea and this could eventually come together as ‘The World's Cup' visual identity. From a VIS perspective, our goal is to illustrate the themes of the campaign, unity and optimism, through art while also maintaining a global sensibility. The visual identity system will come to life across 175 markets and it must resonate globally. Through Speto's bold, simple yet iconic style we were able to achieve both an authentic voice from Brazil but have it locally adapted around the world. ‘The World Is Ours' has been chosen as Coca‑Cola’s 2014 FIFA World Cup™ campaign anthem. The carnival-inspired song fuses pop vocals with samba rhythms and will expose football fans around the world to the signature sounds of the host nation, Brazil. The video features hundreds of real football fans’ Instagram photos. The anthem is part of our 2014 FIFA World Cup™ campaign: The World’s Cup. We’re celebrating the beautiful game and how it connects countries and cultures around the globe. Brazilian-American former X Factor star David Correy is the voice behind the feel-good anthem. Correy will travel the world as part of our Trophy Tour, performing the anthem with Brazilian percussion ensemble Monobloco in 89 different countries in the run-up to the 2014 FIFA World Cup™ kick-off in São Paulo. For the 2010 FIFA World Cup™ in South Africa, we chose K’NAAN’s ‘Wavin’ Flag’ as our campaign anthem. The song topped the iTunes charts in 18 countries and sold more than 2.5 million downloads worldwide.